Kramer Electronics is pleased to announce that the new Kramer VIA Collage wireless collaboration product won Best in Show Awards from both Government Video Magazine, and Sound & Video Contractor Magazine at InfoComm 2014. The Best in Show Awards, presented during the InfoComm show, honoured outstanding products exhibited at the show. It is 1968 a roots rock band emerges on the scene with an acclaimed album called Music from Big Pink. This band, which has hitherto backed solo artists like Bob Dylan, decides to call itself ‘The Band’. It’s not a gimmicky name, just an informal name that the band members settle on to describe what they are. Fast forward to 2014, the year Tony Raciti decides to upgrade his Melrose Arch conference facility. The name of his facility? Nothing gimmicky, just, ‘The Venue’: a simple name to describe what it is. After helping more than 150 000 South African’s buy their own homes, SA Home Loans decided to build a home of their own. The Durban-based mortgage provider recently completed construction of its environmentally friendly and modern headquarters in Milkwood Park, Umhlanga Ridge. To ensure their headquarters enjoy the latest and best in audio-visual solutions they vetted various service providers. First Technology came up trumps for their “professionalism, expertise, experienced technicians and long standing relationship with SA Home Loans”. 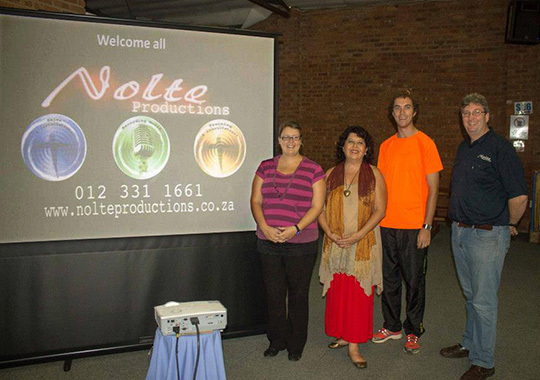 On the 5th and 6th of March 2014 Nolte Productions held its annual Music Productions Seminar for culture teachers. The popular Pretoria seminar drew over one hundred teachers from 32 schools as far afield as Vryheid, Empangeni, Durban and Kirkwood. The seminar equips teachers to stage first class musical productions. 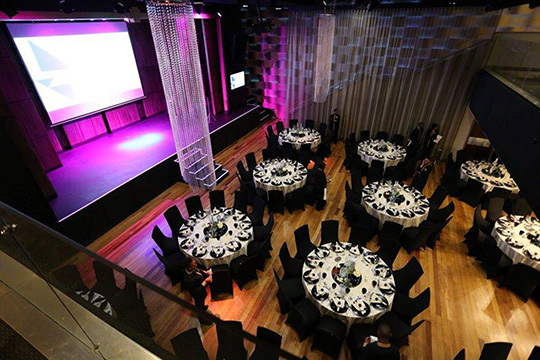 Nolte Productions was founded in 1996 by the charismatic husband and wife team Dawie and Lana Nolte as a one-stop sound, lighting and audio-visual equipment supplier.